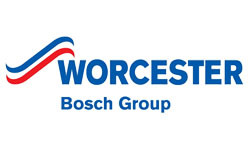 Worcester Boilers may be a slightly younger industry brand, throughout the UK domestic heating sector (having latched onto the Bosch Group company in the 90s), but that hasn’t stopped their considerable rise to the top with constant efficient manufacturing, and a focus on model diversity. At Plumbing on Tap Brighton, we’re happy to stock Worcester Boilers on the same proverbial shelf as any other prominent brand name, which is why we’re discussing the range and groups of products available. The Worcester Boiler range, available with Plumbing on Tap Brighton, centres around the Greenstar model group; consisting of a number of different designs and types of heating system. Starting with the CDi Classic: we already see the Worcester commitment to choice and diversity amongst their heating range, with the Greenstar 42CDi Classic, 38 CDi, 34 CDi and 29CDi all on offer. The Worcester GreenstarCDi Classic is, indeed a classic combi boiler design, which has long since formed the foundation of modern domestic heating. The reason for such a noticeable rise in combi boiler popularity is due to their size and energy efficiency convenience. To give an example; for a Brighton home, the Worcester GreenstarCDi Classic Combi Boiler operates without any need for a separate and attached water tank, located elsewhere in the house; which can save considerable space when planning a heating installation. In addition to this, the methodology of the classic combi boiler is to only generate hot water (both for general heating through radiators as well as water outlets) when required, i.e. when the hot water tap is turned, or the heating is manually/automatically turned on. This saves, hugely, on energy costs and heat inefficiency which can plague some other types of boiler system. Naturally, with the different variations available with the Sussex Worcester GreenstarCDi Classic boiler range; this solid, user friendly combi boiler can be fitted to most regular sized homes. When considering a whole new heating system installation – whether that’s for a brand new build or a replacement of an older system – it’s important that you choose a fitter you can trust and rely upon. This is why, here at Plumbing on Tap Brighton, we make it our duty to operate 364 days out of the year, making it that much more convenient for you to install a Worcester GreenstarCDi Classic Boiler, throughout Sussex, whenever you want. The other important consideration, when thinking about a boiler installation, however; is to remember that age doesn’t tell the whole story. 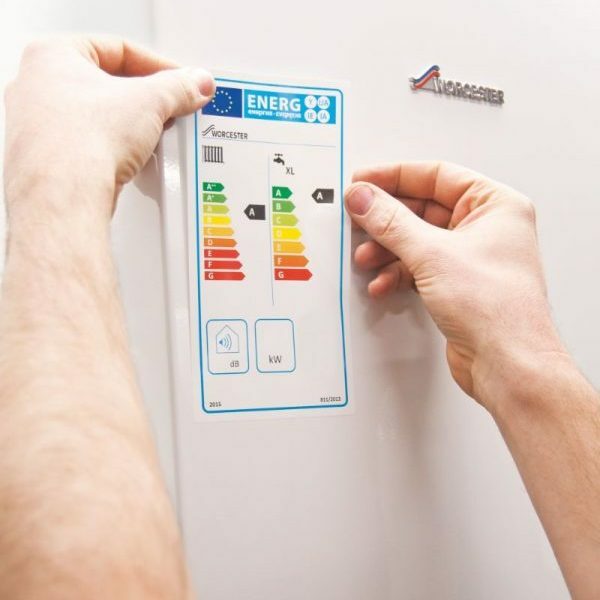 A brand new, modern or recently fitted boiler system can be just as susceptible to damages, inefficiency and other malfunctions as an older, less modern system. That being said, it might be worth thinking about a Plumbing on Tap Brighton installation of a Worcester GreenstarCDi Classic boiler today! Additionally, with Plumbing on Tap Brighton, you get the full benefit and length of all warranties supplied by the brand/manufacturer from the date of installation onwards. Noticing hiked fuel prices? Long wait times for warm water to come through the pipes on an icy winter morning? Lowered water pressure? Then it might be time to consider a replacement; for the standard Sussex home, Worcester’s GreenstarCDi Classic boiler couldn’t be a finer choice. On the topic of heating inefficiency – obviously the first option isn’t to simply toss out the old system and bring in a new one (although, with some older boilers, this may be the only choice). There may still be hope in the current system yet. Much like running any piece of machinery for a long time, on a regular basis – it’s highly important to make sure that you take good care of it. This means frequent, thorough maintenance check-ups and full system services in order to make sure everything is running as efficiently as possible. Here, at Plumbing on Tap Brighton, we tend to time our Worcester GreenstarCDi Classic boiler maintenance check-ups and service procedures at around an hour to an hour and a half, all in. Of course, this time estimate is wholly dependent on how accessible your system is, how long it’s been since it was last serviced and how far away our engineer is from your location, at the time of a call-out. Important to note, is that Plumbing on Tap Brighton will service and maintain any boiler, from any brand or range, not just the Worcester GreenstarCDi Classic range. Our maintenance engineers will subject the entire system to a thorough and industry standard eighteen point check to ensure that everything is safe and efficient, whilst also offering a complementary check over any gas fire ranges you may have installed in your Brighton home. However, again, Plumbing on Tap Brighton frequently remind customers that the decision to maintain or service a Worcester GreenstarCDi Classic boiler isn’t simply made by gauging the age of your system, but by considering all the factors prevalent to the system’s health. Sometimes, though, a simple check-up or maintenance isn’t enough, and you need to call in Plumbing on Tap Brighton for a full Worcester GreenstarCDi Classic repair. Luckily, we’re one of Sussex’s most trusted and reliable repair firms; with a full repair staff equipped with vans stocked with tools, spare parts and machinery needed for any repair job you can think of. In the interests of transparency and customer trust; Plumbing on Tap Brighton likes to remind customers, here and now, that the flat-rate call-out charge for repairs is priced at £65 inc. VAT, which doesn’t include any hidden fees or additional, future repair costs. This price comes with the promise of a full, professional attempt at a complete repair within the first hour of arrival, regardless of whether the Brighton based system is a Worcester GreenstarCDi Classic boiler or otherwise. Plumbing on Tap Brighton will respond, lightning fast, to any repair call-outs, big or small: drop in water pressure? Pilot light not lighting?Lack of heating?Inefficiency through the home’s radiators? Don’t hesitate to get in touch. Worcester Bosch Greenstar CDI Classic Boilers offers Worcester Bosch Greenstar CDI Classic Boilers services in Brighton, East Sussex, a large town located in South East England. In addition to Worcester Bosch Greenstar CDI Classic Boilers, Brighton attracts many of East Sussex’s leading companies. Worcester Bosch Greenstar CDI Classic Boilers’s Worcester Bosch Greenstar CDI Classic Boilers service area like-wise encompasses Moulsecoomb, Hollingbury, Hollingdean, Hove and Mile Oak in the City of Brighton and Hove. Last but not least Worcester Bosch Greenstar CDI Classic Boilers’s Worcester Bosch Greenstar CDI Classic Boilers services cover the Brighton Municipality including Bear Road area, Brighton Marina and Stanmer.